The ski industry is one of the most important contributors to the economy in the Mountain West. And it's dealing with some pretty big changes right now. Probably the biggest one is climate. Winters are getting shorter and mountain resorts are having to adapt. 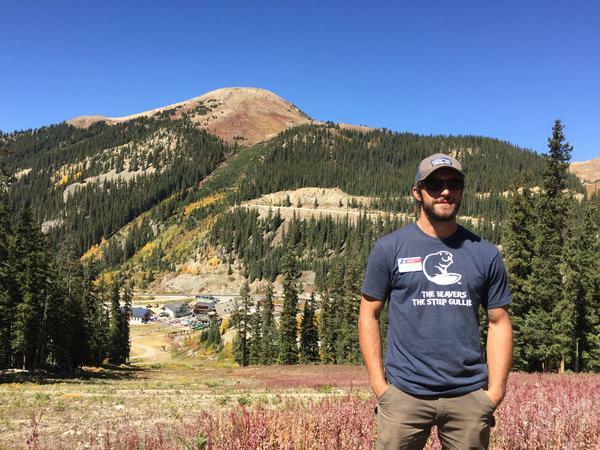 On a hot day back in September, I visited Arapahoe Basin Ski Area just 80 miles west of Denver. Families were out playing disc golf, setting off on hikes, and riding the chairlift to see the gold-leafed aspens from the air. There were even a couple of kids running shirtless through sprinklers. In the background, there was a live German band and tents set up selling schnitzel and pretzels. "Today is our first ever Oktoberfest here at A-basin," explained the resort's Sustainability Manager, Mike Nathan. "It's kind of our closing summer event." Nathan said it's been a summer of firsts for this small ski area. For one, he said, "it's the first summer that we've had true events every weekend." He said they've drawn more people up this summer for hiking, mountain biking, and wildlife viewing. 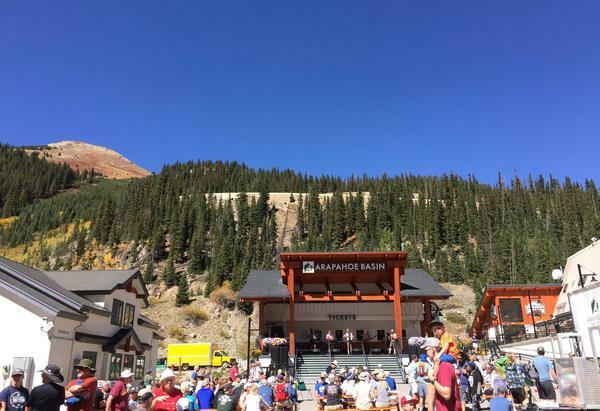 Nathan said this summer expansion was a natural way of growing Arapahoe Basin's business and bolstering their annual income using the infrastructure they already had. But the move is also related to shrinking winters. Torrey Udall, with the Boulder-based nonprofit advocacy group, Protect Our Winters, said "we know the low snowfall years are gonna become only more predictable and more frequent." There's plenty of science behind his claim. A recent report funded by the Environmental Protection Agency said if our current warming trend stays on course, nearly all ski areas in the country will see their winter recreation season shorten — by a lot. Fifty percent by 2050 and a whopping eighty percent by 2090. Of course, that's a bummer for skiers, but it's also bad for the ski industry's bottom line. According to the Outdoor Industry Association, snow sports contribute over $17 billion and more than 170 thousand jobs to the economy. And that's in our region alone. 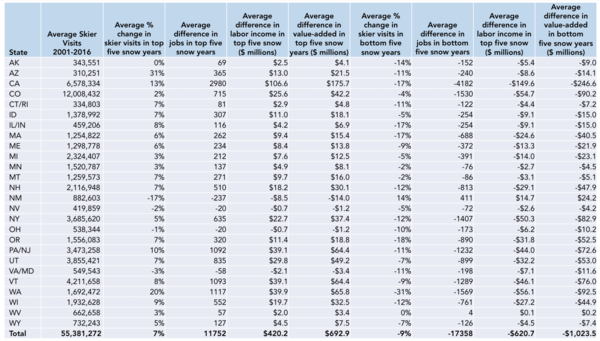 As Udall said, "really, snow equals money and more of it is more money and less of it is less money." Earlier this year, Udall's group published its own economic report, which found that during low snowfall years the average number of jobs lost across the country is over 17,000 and the average revenue loss is just over a billion dollars. Of course, weather and snow seasons can vary quite a bit. In response to a question on preparing for climate change a representative from Vail Resorts said they're not too worried. They're having a really good snow year. 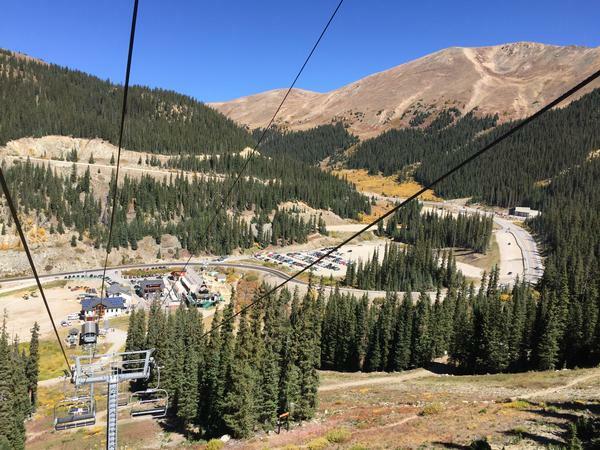 Chris Linsmayer, with Colorado Ski Country USA, an industry group that represents 23 ski areas in Colorado, admitted that "This year we've had plentiful early season snowfall." Good years aside though, he said it's important to note that over the long term, the mountains have been seeing more frost-free days. That, said Linsmayer, "has a huge impact on our industry, especially in the early season as resorts are utilizing man-made snow and working to get the resorts open. That's certainly a trend that we've seen." And it's a trend the ski industry can't ignore. Linsmayer affirmed that resorts are seeing the effects of climate change on their businesses and they are trying to come up with solutions to it. That goes for small resorts like Arapahoe Basin and big ones like Aspen. 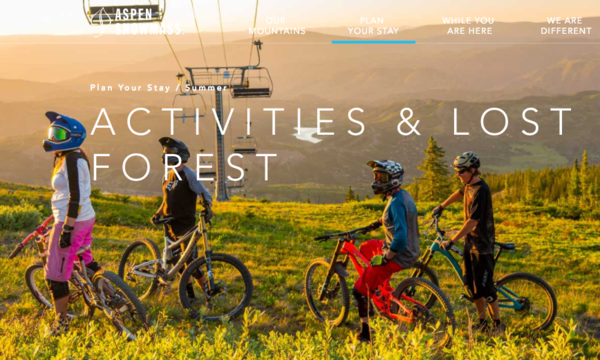 Christian Knapp, head of marketing and sales for Aspen Skiing Company, said they are also adapting by building out their infrastructure for warm weather activities. "We actually debuted our newest summer activity center up on Snowmass this summer," Knapp said. "It's called 'Lost Forest.'" They've got an Alpine coaster, a giant rock climbing wall, "and we've really continued to build out our mountain bike downhill program as well," said Knapp. But he said Aspen is also focusing on how to make — and keep — more snow on their slopes for the ski season. "We are investing in more snowmaking, coverage, pipelines, holding ponds, more brushing on the mountains so you can open with less snow," said Knapp. "All those things you know we want to be prepared going forward." Mike Nathan at Arapahoe Basin said they are preparing that way too. And he said while summer offerings aren't a silver bullet, they will definitely help the company's bottom line. "We've been very pleasantly surprised with the numbers we're getting," Nathan said. "But yeah to compare them to our winter visitations is apples and oranges, totally." Their bread and butter, you could say, is still in the powder.